Sky has confirmeded that its Sky Go on-demand service has come to four new Android devices. The native application has added support for the Sony Xperia Z, HTC One, Motorola RAZR HD and the upcoming Samsung Galaxy S4. Sky Go, which grants subscriber access to 49 channels and a range of on-demand content, was already available for more than 25 Android smartphones, as well as tablets, PCs and iOS products. 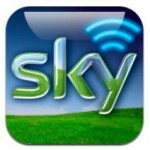 The Sky Go application is available as a free download from Google Play.